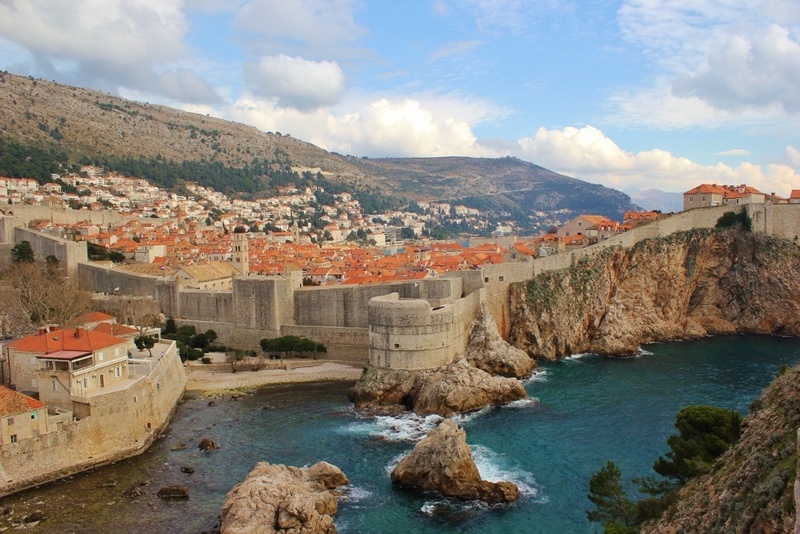 In our week-long stay in Dubrovnik, Croatia we have covered some ground. 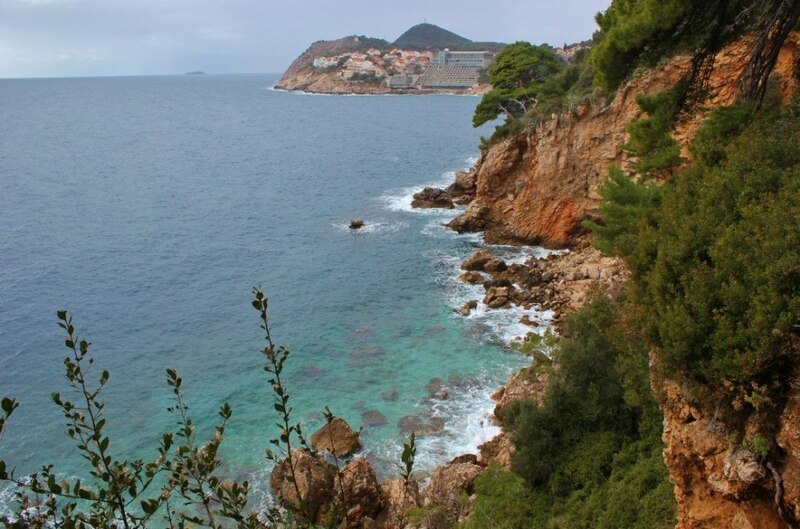 Besides walking nearly every street and taking in the sights within the historic walled center, we also took in the views of Dubrovnik from the top of Mount Srd and from the rocky coast east of the city. 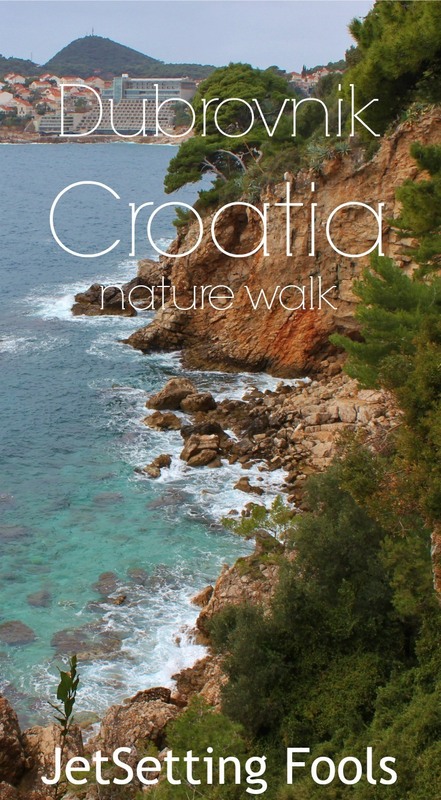 With a bit of curiosity, we felt compelled to also discover the area to the west of the city with a Dubrovnik nature walk. We exited the Pile Gate and headed through the square on the right, making our way down the stairs to the small waterfront and pier between the Old City and the Fort of St. Lawrence. 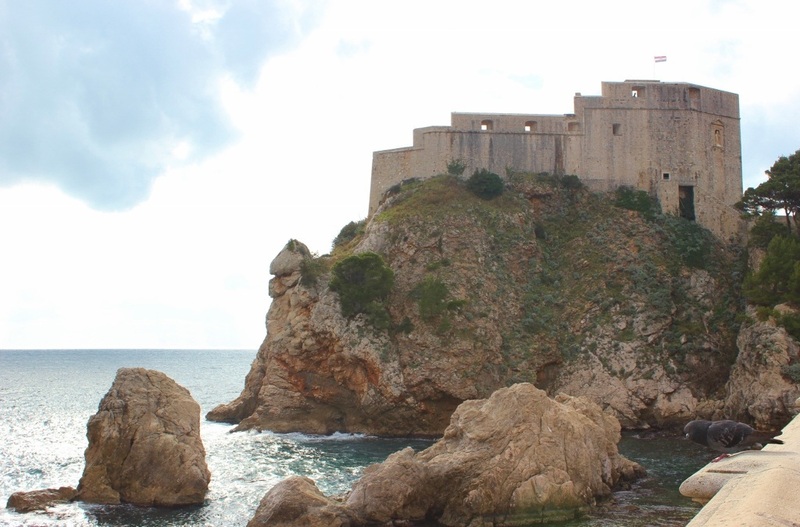 From our sea level vantage point, we felt a sense of intimidation by the massive walls of Dubrovnik and the fort perched on the peninsula that rises so grandly from the water. 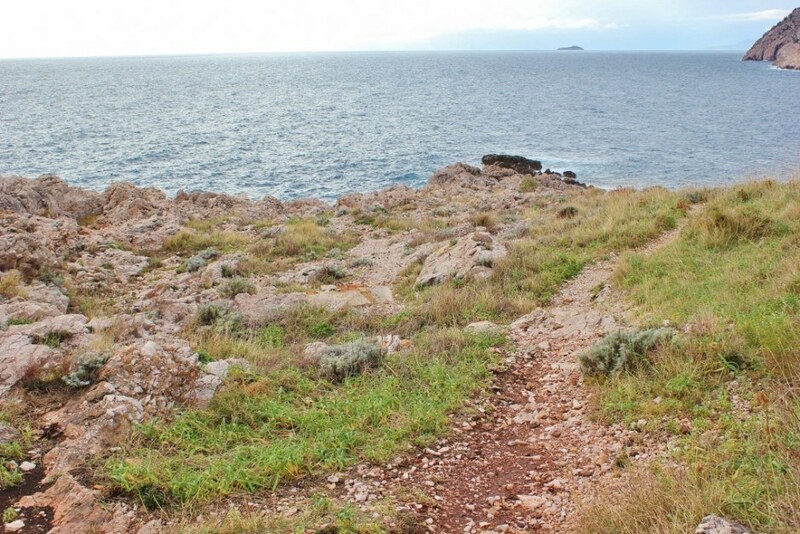 Moving to the other side of the peninsula, we looked straight down the steep cliff into an inlet of turquoise water. Waves from the Adriatic Sea rolled into the small opening, crashing on the rocks along the sides until it made its final surge onto a little beach. Seeing that a road led to the top of the opposite bluff, we made our way through the residential neighborhood and hiked up the street. We were slightly baffled to find ourselves at the entrance of a gravel parking lot (Who uses a scenic outlook for a parking lot? I thought), but we made our way past the cars and were thrilled to find a rocky area with expansive views of the sea and city. 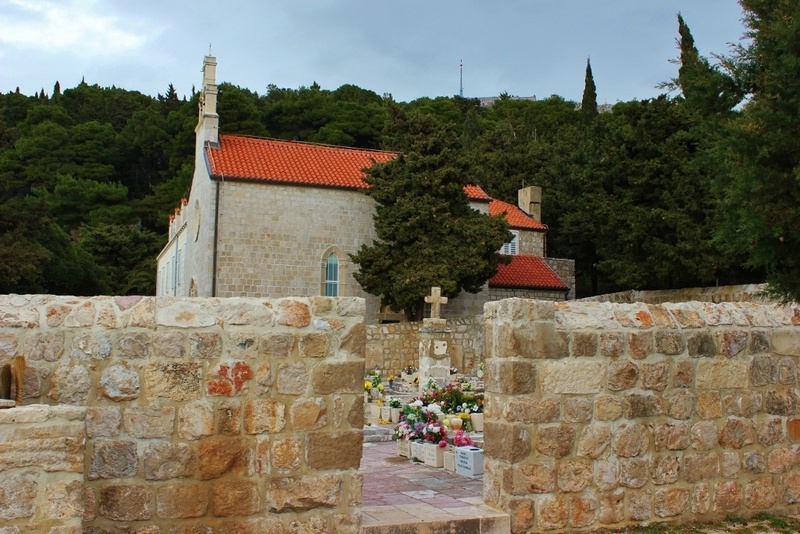 We continued our Dubrovnik nature walk on a dirt trail that led west along the coast to a small church and cemetery and then continued down to a public beach. Like many of the beaches along the coast, rather than sand, this beach was composed of natural rocks and concrete steps leading into the water. Most likely a happening spot in the summer, the only ones enjoying it on a winter day were a lone fisherman and his dog. Taking the road next to the church, we headed inland to a forested area. A series of paths on multiple levels wind through the park. 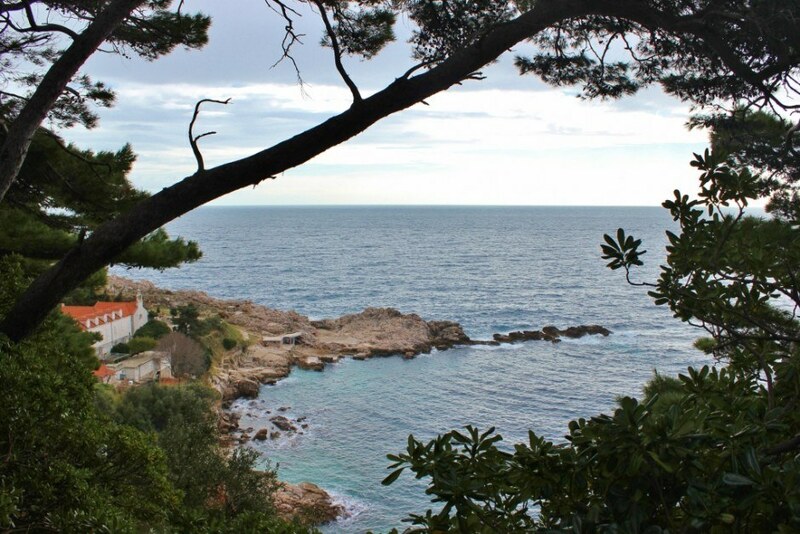 We found a few lookout points over the sea, some benches along the trails and a staircase that led down to the water to a smaller beach. With the setting sun showering the rocks in warm light, we found a comfortable place to sit and listen to the sea crash against the shore. For all that the old walled city has – from the historic buildings to traffic-free Stradun and alleys with stairs that lead like a maze through the city – the center does lack green space. 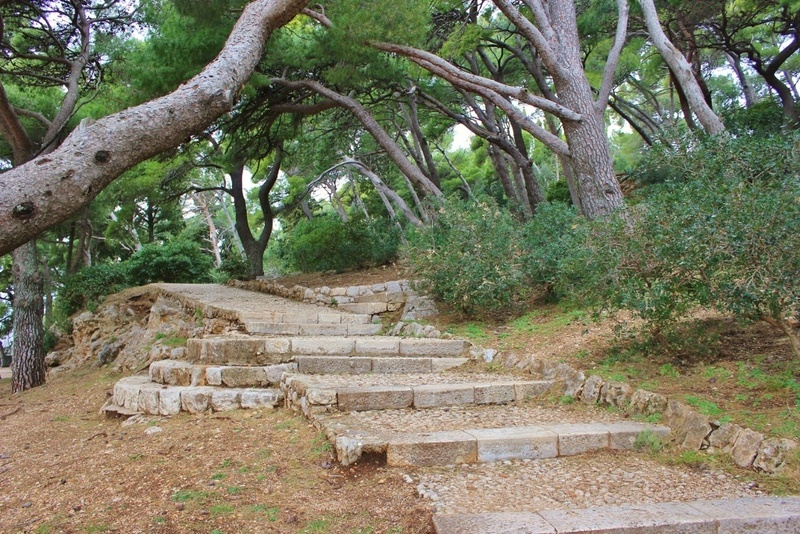 However, discovering this short Dubrovnik nature walk has proven to be yet another way to experience the beauty of the city. We want to know: Does a Dubronik nature walk appeal to you – or would you rather stick to the interior of the old city walls? 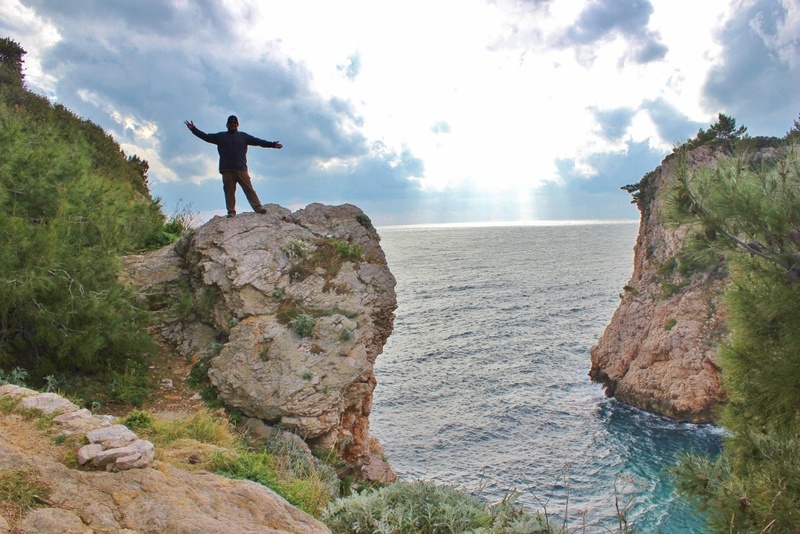 Where else have you found nature in Dubrovnik? Tell us in the comments! A really beautiful place — I might have to put it on my bucket list!!!!! 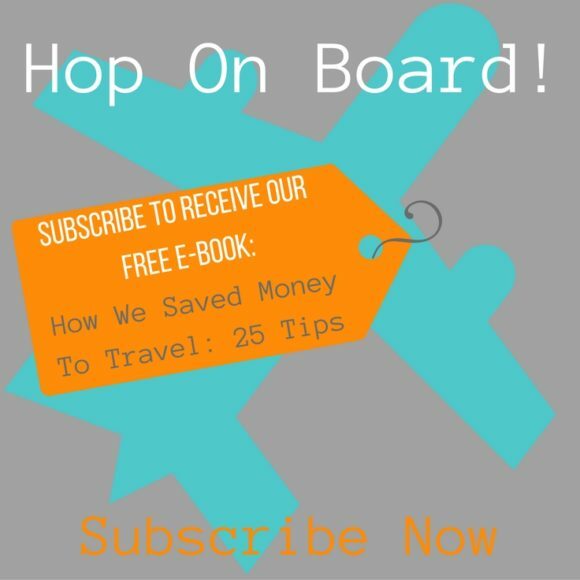 Yet another detailed and interesting read. Loved the photos, the views are superb as they depict. I know your legs are strong from the hiking you’ve done! 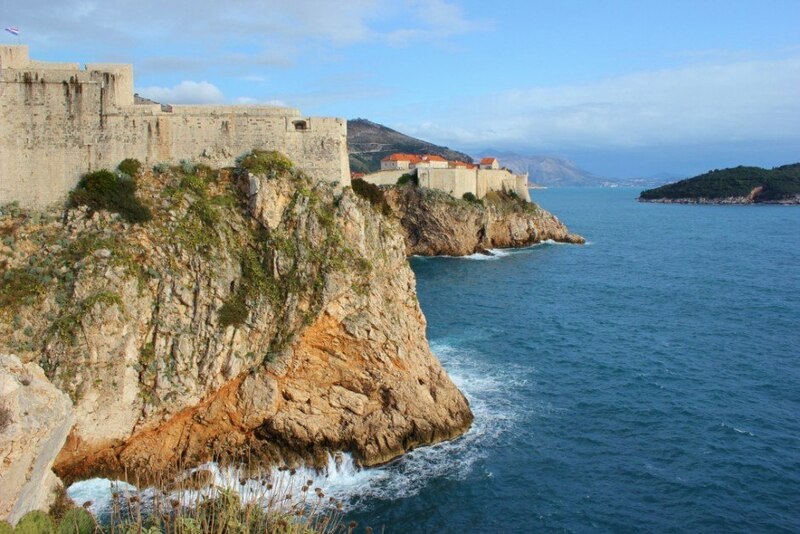 In the past I’ve always associated Croatia with “war-torn” but after seeing your pics of the past week, I think “beauty”!! Before we visited, that is all I thought of, too. 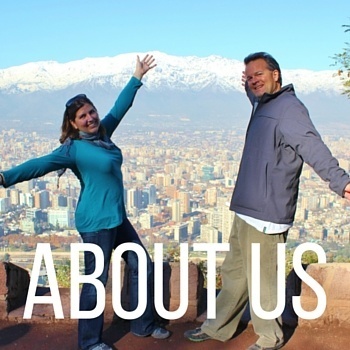 When we told people we were visiting, they would ask, “Why? !” Now, we know why! 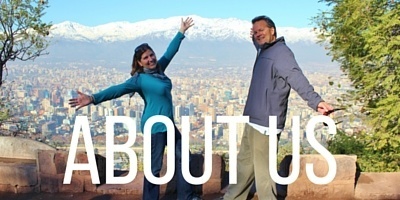 It’s a stunningly beautiful country with wonderful people!